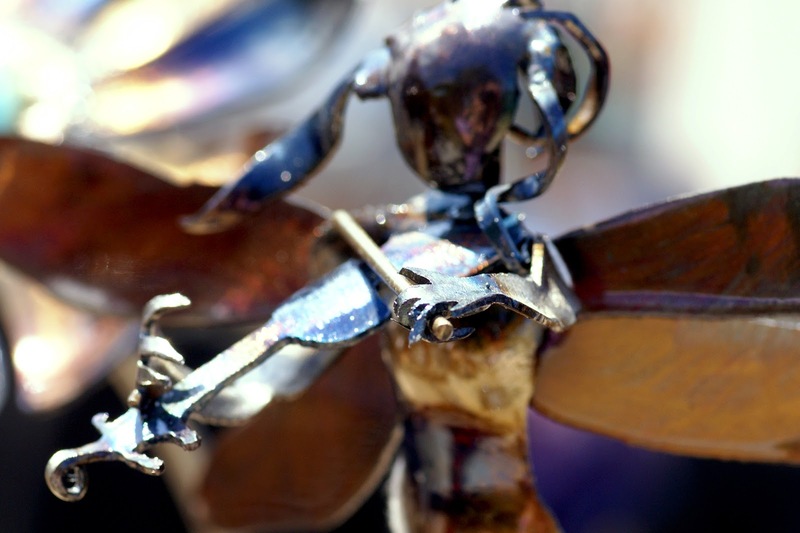 Masters of Transforming Old Metal into Art that is Brand New & Beautiful. 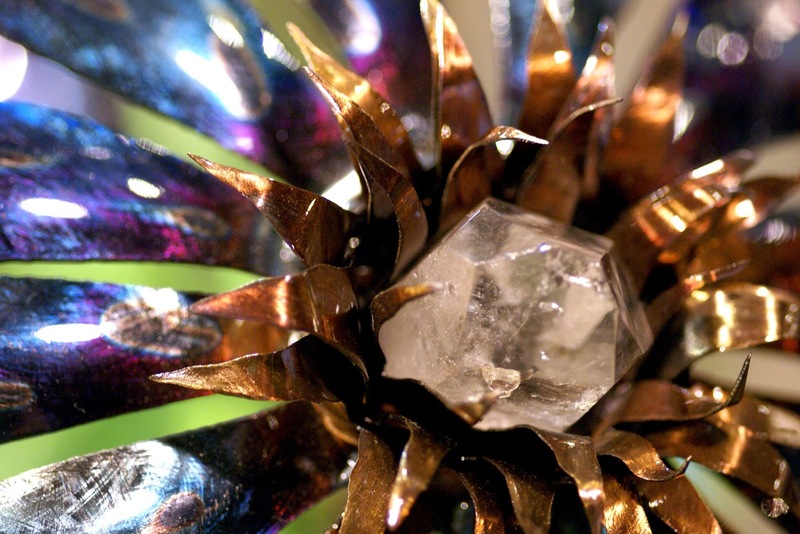 Creatively Uncovering Art & Decor that Scraps of Metal were Meant to Be. For artist duo Art and Rebecca, creating is something innate. Their passion for Metalsmithing comes out of seeking to harness the creative energy they believe we all have hidden inside us, the “hidden dragon” according to Japanese tradition (and hence this couple’s brand). Both work with metal, using many similar techniques, but in ways the yield very distinct masterpieces. Their specialty is Whitesmithing to be exact, which can be distinguished from the more commonly known Blacksmithing because it involves working with cold metal. Both Art and Rebecca also draw from very unique backgrounds, finding inspiration for their work in a diverse range of experiences and interests. 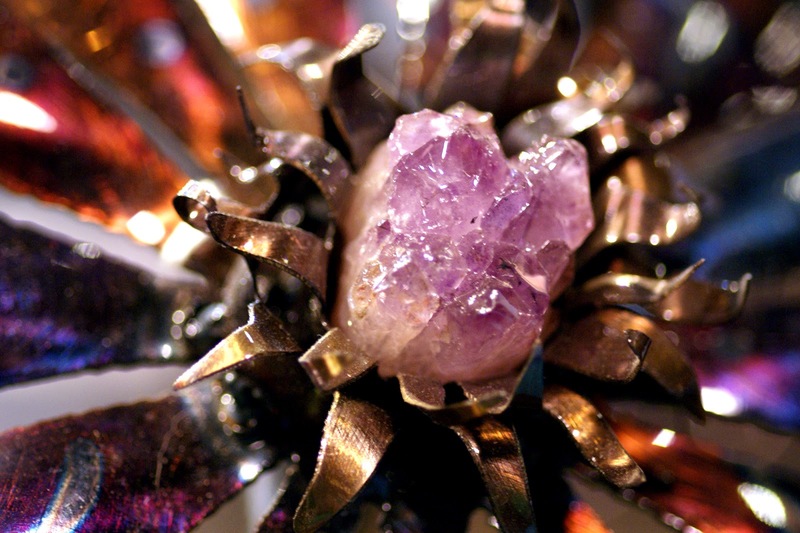 Art's forte is metal sculpture made from recycled scraps of steel, brass, bronze and more, occasionally incorporating a beautiful hunk of semi-precious gemstone. He is particularly adept at fashioning various types of flora and fauna to be used as garden art: Flowers, Dragonflies, Butterflies, Fairies and Bats to name a few. Most of his sculptures are within a foot by a foot by a foot, but their stakes (and style) make them stand above the crowd. Any color in his work comes from the stones he uses and the natural patinas he achieves in heating the metal. What beautiful iridescence! Rebecca, on the other hand, spends her time creating art to hang on the wall. She is more abstract, bringing together a mix of found objects and metal with subject matter and meaning left up to interpretation. The colors she uses in her pieces come from both patinas and paint. 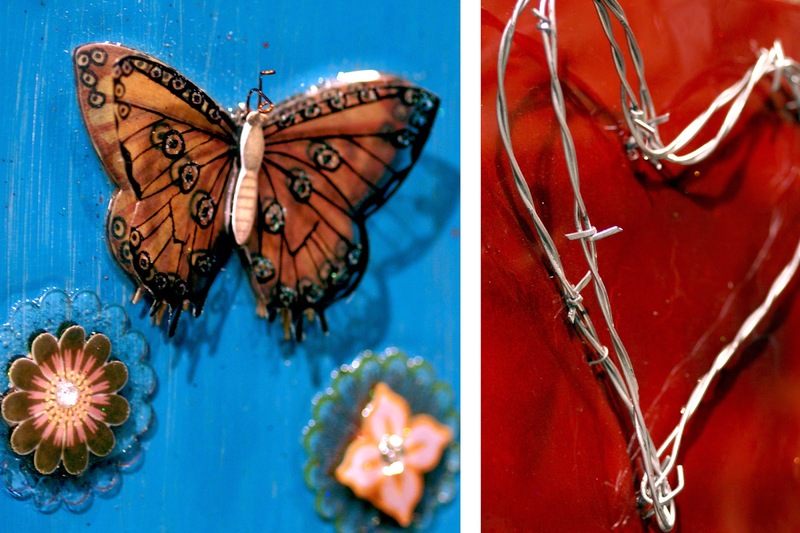 Despite the differences, these two artists both make the most of the metal they up cycle with stunning artistic style!